The Task Force Tips’ MASTER FOAM nozzle is a simple and rugged self-educting foam nozzle with superior stream quality and reach. This fixed gallonage fog nozzle rated at 100 psi (7 bar) is available with your choice of 1000 or 1250 gpm (3800 or 4800 l/min). 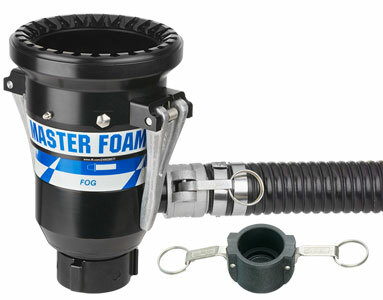 The Task Force Tips’ MASTER FOAM nozzle is a simple and rugged self-educting foam nozzle with superior stream quality and reach. This fixed gallonage fog nozzle rated at 100 psi (7 bar) is available with your choice of 1000 or 1250 gpm (3800 or 4800 l/min). 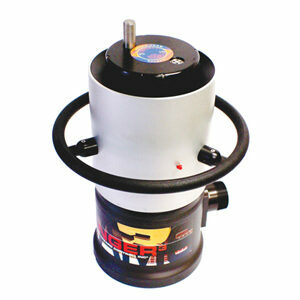 Fog angle is user adjustable between 90º wide fog and straight stream. 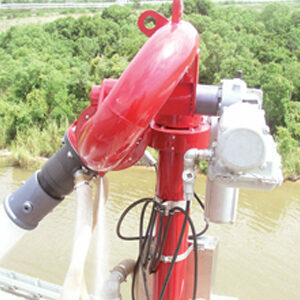 The nozzle’s baffl e is easily removed for fl ushing debris. 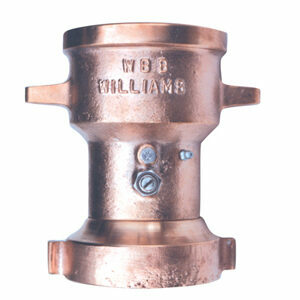 The standard swivel coupling is 2.5” NH, NPSH, or BSP (65mm) female threads. The simple fl ow geometry can educt foam concentrate at 1% or 3% with no small passages to clog. Nozzle comes with an industrial grade UV resistant, 10 feet long, 2” diameter (3m x 50mm) concentrate hose with two cam lock fi tting for quick and secure attachment to the nozzle. The simple and basic design requires minimal maintenance. Includes folding handles for manual patern control. Hardcoat anodized aluminum ANSI A6061-T6 for maximum resistance to corrosion and wear.